A US citizen and computer wiz raised in a wealthy Boston family is allegedly one of the masterminds behind the Islamic State propaganda being posted on social networks. 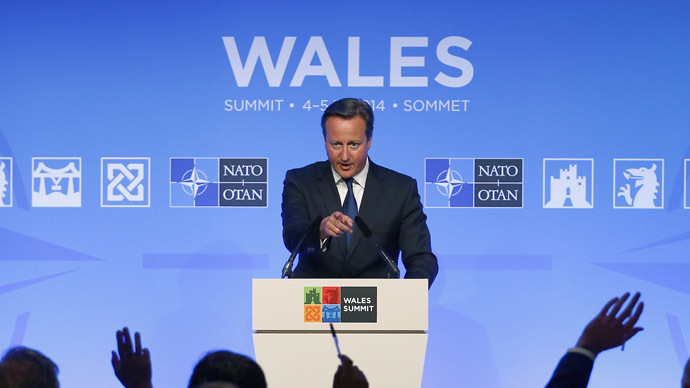 It is aimed at recruiting new followers and riling up enemies of the militant group. 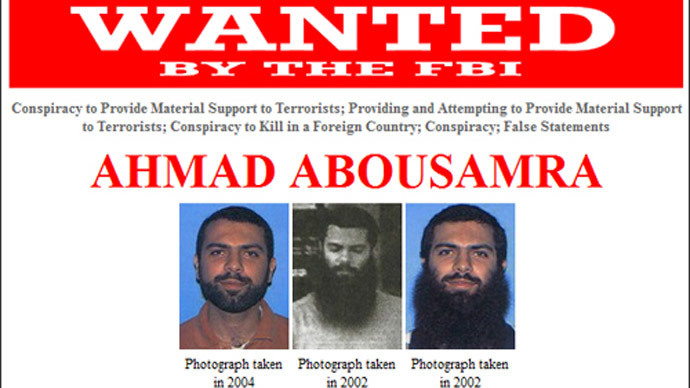 Ahmad Abousamra, who has dual US and Syrian citizenship, is on the FBI’s Most Wanted Terrorists list. Last year, the government promised a reward of $50,000 for information about the fugitive, who has been on the run for several years. The 32-year-old tech-savvy terrorist is now also suspected of being among the architects of the social media strategy for the Islamic State (formerly known as ISIS/ISIL), law enforcement officials told ABC News. Abousamra was born in France in 1981, but grew up in Stoughton, a prosperous suburb in Boston. The son of an endocrinologist at Massachusetts General Hospital, he went to a private Catholic school and transferred for to Stoughton High School for his senior year. He graduated from the University of Massachusetts Boston with a degree in computer science, according to the Boston Herald, and worked at a telecommunications company. However, it now appears that Abousamra later decided to use his professional skills to help the Islamic State (IS) spread its message. 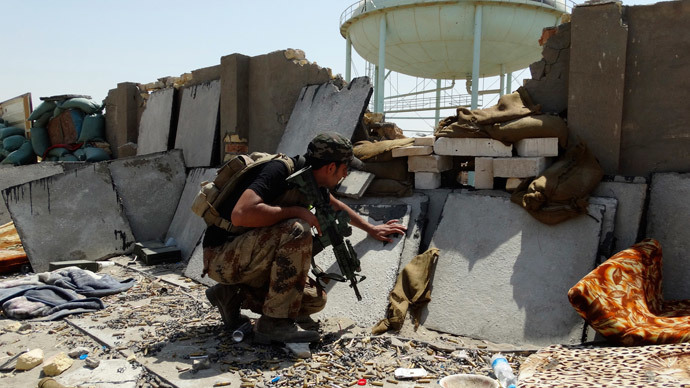 Though the Sunni jihadist group wants to impose harsh medieval order in the territories it controls, it is not opposed to using modern technology to achieve its goal. 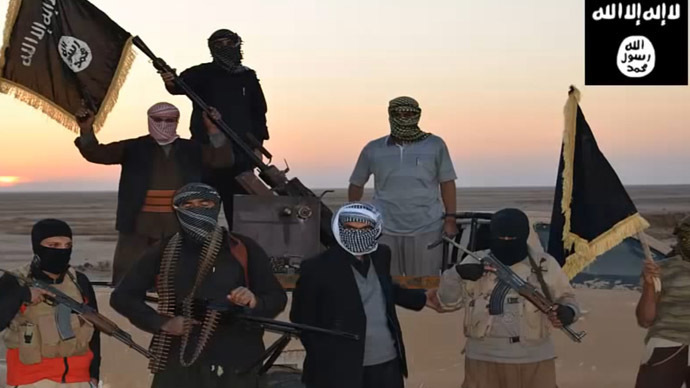 In its propaganda campaign, the Islamic State has widely used apps, social media networks, and YouTube. The extremists have released shocking videos, including those claiming to show the beheadings of two American journalists – Boston-based James Foley and former New Hampshire student Steven Sotloff. “ISIS understands very well that in order for an act of terrorism to be effective, it needs to actually terrorize people,” Peter Neumann, director of the International Centre for the Study of Radicalisation (ICSR) said, as quoted by ABC. “The act of communication that follows the act of violence is almost as important as the act of violence itself.” In Neumann’s opinion, the Islamic State's success in online propaganda is to some extent due to its English-speaking supporters with computer skills. Abousamra is fluent in both English and Arabic. According to the FBI, he repeatedly traveled to Pakistan and Yemen to “seek jihad training.” He also went to Iraq to allegedly join forces in fighting against American soldiers. The suspect’s two alleged conspirators – Tarek Mehanna and another unidentified individual – worked abroad, effectively as the “media wing” of Al-Qaeda in Iraq (AQI), ABC News reported, citing a 2009 indictment. Mehanna and Abousamra eventually returned to America, where Mehanna was arrested, convicted of terrorism, and sentenced last April to 17.5 years behind bars. Abousamra managed to flee the US in 2006, after he was questioned by the FBI. “Both men were self-radicalized and used the internet to educate themselves,” the FBI's website quoted Special Agent Heidi Williams – a member of the Joint Terrorism Task Force (JTTF) in Boston – as saying. Abousamra and Mehanna came to radical Islam independently, but “once they found each other, they encouraged each other’s beliefs,” Williams added. According to a senior law enforcement official, Abousamra may have now taken up a similar job with the Islamic State's media wing, just as his co-conspirators previously did for AQI. The alleged IS propagandist may be living in Aleppo, Syria with his wife, at least one daughter, and extended family. In November 2009, a federal arrest warrant was issued for Abousamra after he was charged with multiple crimes – including providing and attempting to provide material support to terrorists, conspiracy to kill in a foreign country, and false statements. Stoughton Police Chief Paul Shastany told the Boston Herald that it would be “inappropriate to talk about this specific case,” but it is clear that local police play an important role in the war on homegrown terrorism. 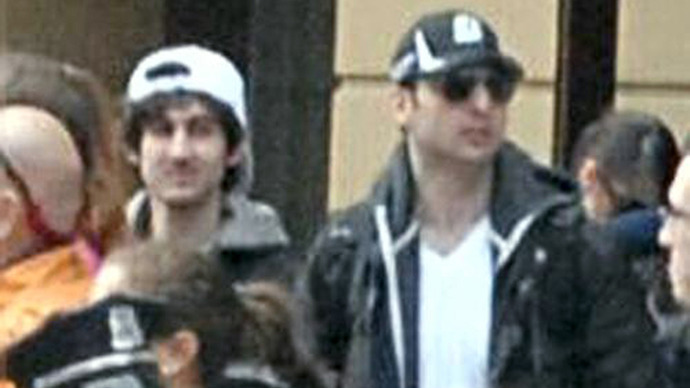 The issue of homegrown terrorism was widely discussed in the media in the wake of the Boston Marathon bombing on April 15, 2013. In a new twist to the story, the New York Post reported on Sunday that six other people allegedly linked to terrorism also attended the Islamic Society of Boston in Cambridge, Massachusetts – the same mosque that the marathon bombers, Dzhokhar and Tamerlan Tsarnaev, attended. According to the paper, Mehanna and Abousamra were among the worshipers. Abousamra's father, Dr. Abdul-Badi Abousamra, had sat on the board of directors of the Muslim organization that runs the mosque, but stepped down after the FBI began questioning his son. Dr. Abousamra, now chief of endocrinology at Wayne State University in Detroit, did not respond to e-mails or phone calls seeking comment on the matter, the New York Post said. The Islamic Society stressed it does not preach hatred.